Temperature: As per customer's specification. 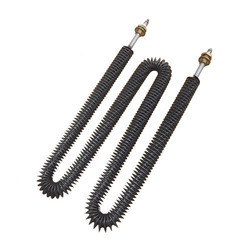 We make Metal tubular heating elements that is electric heating elements enclosed in metal tubes to have excellent mechanical properties . We make elements for water heating , ovens , oil heating , packaging machine , indirect water heating ( porcelain elements ) . Material: S.S 304, S.S 202, Seamless etc. 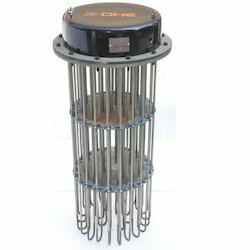 The Kanthal program of electric heating elements is the widest on the market. Our heating elements outperform in all temperature ranges, from element temperature 50 to 1850°C (120-3360°F), and atmospheres.